Dublin City Council to remove sign bearing Archbishop Dermot Ryan's name following complaint from public. Dublin City Council has said it will remove a reference to the former Archbishop of Dublin, Dermot Ryan, from a playground sign following a complaint from a member of the public. The sign stands in Merrion Square Park, which previously was known as Archbishop Ryan Park. In January 2010, the City Council sought the public’s views on renaming the park. An overwhelmingly majority of respondents (98%) supported the idea so as to erase reference to Archbishop Ryan. Of the 567 who responded, 554 were in favour of renaming the park while 13 were against. In September of that year, the City Council voted to call the park: Merrion Square Park. 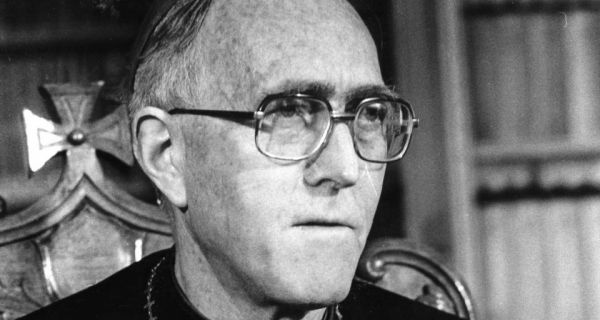 The push to rename the park stemmed from criticisms of Archbishop Ryan contained in the 2009 Murphy Report into the mishandling of allegations of clerical sexual abuse in the Archdiocese of Dublin. Following the publication of the Report, two city councillors said the park should be renamed as a gesture to those who had suffered clerical abuse. The park, which is located in Merrion Square, was named ‘Archbishop Ryan Park’ in a tribute to the Archbishop’s role in transferring ownership of the land to the city in the 1970s. Originally this land had been intended as the site for a new Cathedral but when it was decided that this would not go ahead, Archbishop Ryan gifted it to the city of Dublin. Archbishop Ryan served as leader of the Church in Dublin from 1972 until his death in Rome in 1984 from a heart attack. He was 60. Recently a member of the public noticed that the signage for the playground in the park still refers to Archbishop Ryan. The man also attached a photo of the offending sign. In response, Dublin City Council tweeted that “works on new playground will begin shortly & as part of the works signage will be upgraded”. The complainant told the Southside People newspaper that it was entirely inappropriate that a children’s playground should still be named after a man who covered up child sexual abuse. Dublin City Council has indicated that the Merrion Square Park playground sign will be changed this spring.